One of the few All-American breeds, the Black and Tan Coonhound is a persistent, determined, honest hunter who will stay on track no matter the terrain or conditions. His name developed from his color and purpose ??? his coat is coal black with tan markings, and he is used to trail and tree raccoon. 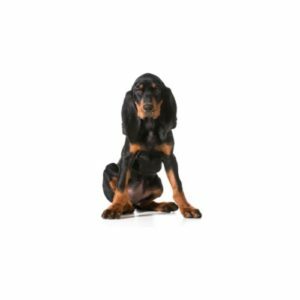 Are you interested in purchasing a Black and Tan Coonhound?